It&apos;s time for some Saint Patrick&apos;s Day fun! Parades, live music, food trucks, parties, and more. Chattanooga has a variety of offerings for both family and friends, day and night. Channel your inner Irish spirit, get outside, and you may just find a pot of gold! March 16, 1-2 p.m., The parade will step off at 1:00pm onto Main Street, take a right on Market, take a slight right onto Georgia Ave ending at Miller Park on MLK. 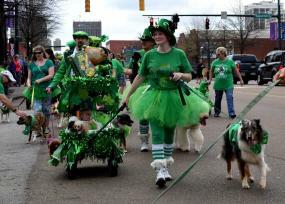 The 6th Annual St. Chatty&apos;s Day parade is a free community event to celebrate St. Patrick&apos;s Day In Chattanooga. Over 50 floats will stroll the streets of downtown Chattanooga! 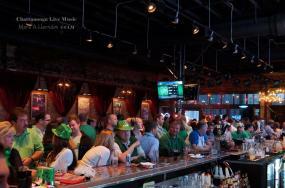 Chattanooga&apos;s official St Patrick&apos;s Day block party returns. The 6th annual Party on the Parkway festival uses Patten Parkway to celebrate with an outdoor stage, food and beer vendors, and a kid zone with interactive games and crafts. The event has partnered with Chattanooga&apos;s Kids on the Block, and the outdoor event will immediately follow their St Chatty&apos;s Day parade! Get your green on for Rock City’s 12th Irish celebration and festival featuring music, food and other fun entertainment! 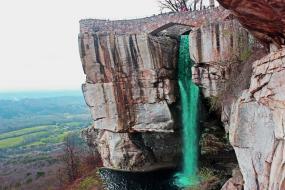 See the waterfall turned green! Enjoy listening to several bands scheduled to perform in the Pot of Gold Pavilion. Taste some Irish food, specialty beer, Rock City’s famous fudge with a “green” twist, and a variety of St. Patrick&apos;s Day scoops from Clumpies Ice Cream Co. including Lucky Charm, Pretzel Stout, and Irish Coffee. And bring your friends and family for many more fun activities. 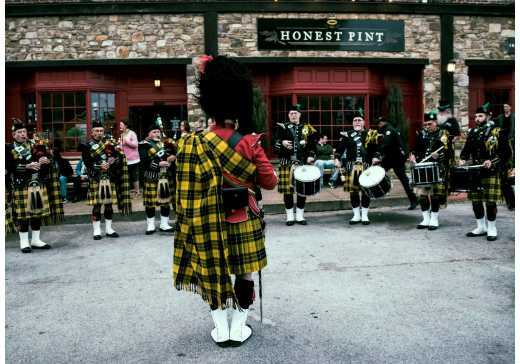 Chattanooga&apos;s West Village district is the perfect place to spend St. Patrick&apos;s Day. This special St. Patty&apos;s Day event has something for both children and adults. Entertainment will include live music, green beer gardens, food trucks, and a laser light show that is sure to impress. Hi-Fi Clyde&apos;s is having its annual St. Paddy&apos;s Party! There will be live music and drink specials all day on Saturday. The parking lot will be shut down so you can take the party outside! On Sunday, rid that hangover with a little luck of the irish! There will be live music and drink specials all morning. March 16, Songbirds South Stage, 9 p.m. The Communicator&apos;s present "That 90&apos;s Show" with a St. Party&apos;s Day special! The Communicator&apos;s are some of the best musicians in Chattanooga, coming together to throw down for you. Bring your dancin&apos; shoes and dress in green. This one is going to be fun. March 16, 11 p.m.-1 a.m.
Take a two hour cruise in the moonlight to celebrate St. Patrick&apos;s Day! Party the night away as you venture down the Tennessee River aboard the Southern Belle Riverboat. Guests must be 21 and over with proper ID. Singles dance hosted by Chattanooga USA Dance! Celebrate St. Patrick’s Day with your friends and make some new ones. You don’t need any dance experience, a partner, or to be Irish. Singles of all ages are welcome. Chattanooga&apos;s live music scene never stops. For a full list of events happening this St. Patrick&apos;s Day weekend, check out our music blog.